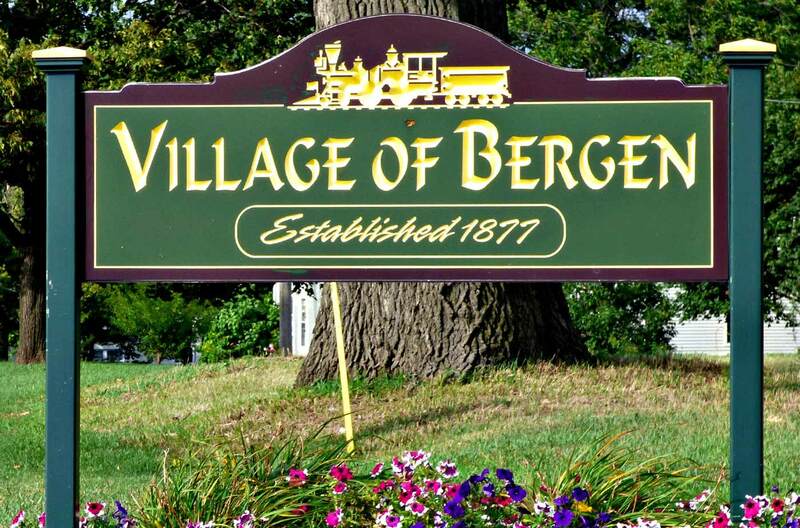 The Village of Bergen, just a short drive from Rochester and Batavia, has a strong connection with its past, a clear eye toward its future and a deep sense of place. With its many Victorian homes, historic downtown, and sidewalks canopied by old-growth trees, people choose Bergen because they want the kind of life and values that characterize America's small towns. A letter was mailed to all property owners on March 1st regarding the proposed increase in sewer rates. An informational meeting was held on March 13th. A Public Hearing will be held on April 10th at 6:15pm at the Village Office for public input. Everyone is welcome to attend. For more information click this link. The Village will be hosting our annual Community Action Day on May 22nd starting at 9am in Hickory Park. Once again we will be working with the kids from the Byron-Bergen School, to plant flowers, pick up parks, put out flower boxes and clean up the Community Garden. Everyone is welcome to attend and show their community pride. Brush and leaf pick up occurs on the 2nd and 4th Mondays of each month until November 25th. Leaves must be in biodegradable bags. We will only pick up one load of brush per house per week. Click here to view the Village Brush Policy. We are excited to announce the return of the Village's FREE summer recreation program. This year's program will be four weeks long running from July 15th through August 9th. Shari Schuck will return this year to lead the program. Information to sign up will be available in June. The program is open to all kids age 5-15 no matter what community they live in. Need a Form That's Not Listed Here? Contact the Village Office and we'll get you what you need!